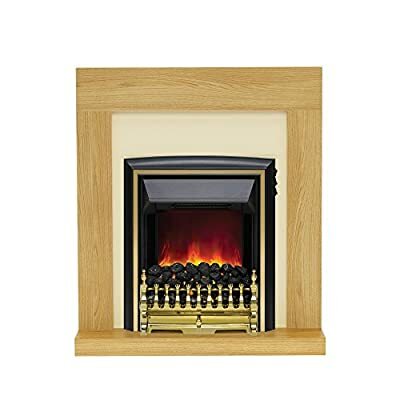 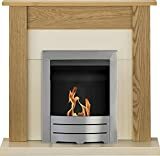 36" Natural Oak finish fireplace complete with a Brass electric fire. 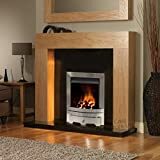 1 or 2kW heat output, thermostat control and flame effect only settings. 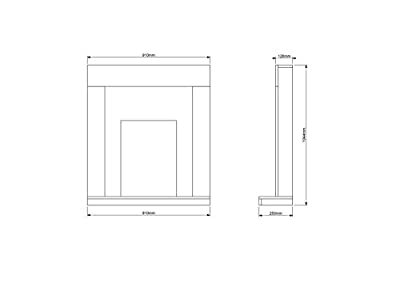 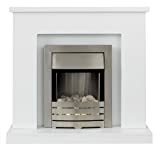 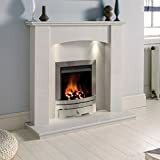 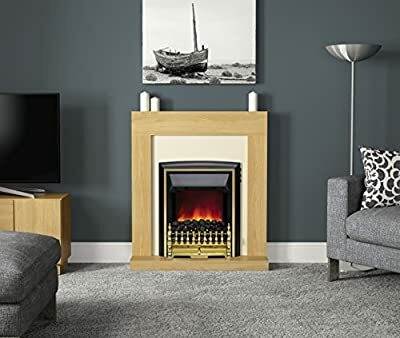 Flat wall fit - install this fireplace against any flat wall. 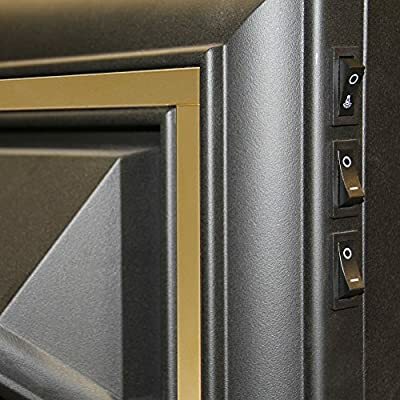 Easy to reach switches located on the top side of the fire.